I love a good salsa. On a hot summers day, I will happily spend spend my days enjoying a cold beer and chips & salsa! Although this is certainly a summery dish, come late February, Camille and I always start to crave more refreshing ingredients and less roots. Luckily Maine has a few hydro farms, so I can still locally source some of the necessary ingredients. Adding the avocado to this classic recipe adds a creamy texture and because of the fat — bulks it up to more of a hearty side dish. I love how the flavor develops over time and the spicier it gets. I'm all for a blast off when I make salsa, so I usually have to make two versions. Enjoy this recipe with fresh baked fish, grilled chicken, or simply with crackers and sliced veggies. For more of a sauce-like consistency, puree the finished product. As mentioned below, you can also ferment this (minus the avocado) for a day or two. Adds a really nice zing! 1. First, prep your veggies. If you're making a large batch or lacking time, you can use a food processor to chop the ingredients, but personally, I prefer to cut all your ingredients by hand. 2. Once you've prepped the veggies, toss them together in a large bowl. Squeeze the lime and add it along with the olive oil and some sea salt. 3. Place the whole cumin seeds into a heavy bottomed skillet and cook dry over medium-high heat until golden brown and quite fragrant. Remove from the stove then grind in a mortar and pestle or coffee grinder. Add the ground cumin to the tomatoes. 4. 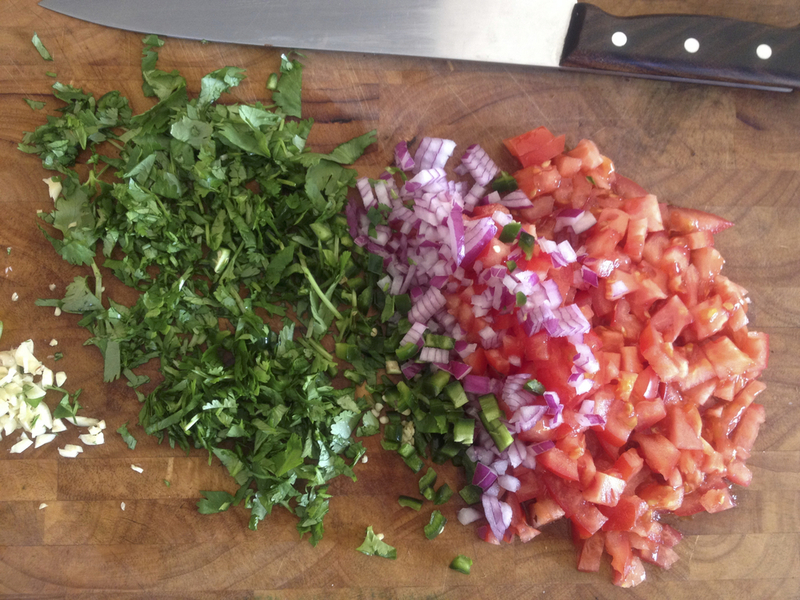 Taste, adjust seasonings to your liking then let the salsa sit for 20 minutes or so. *You can add probiotics or whey and ferment this salsa for a day or two before placing in the fridge. We respect your privacy and never share your email address with anyone.